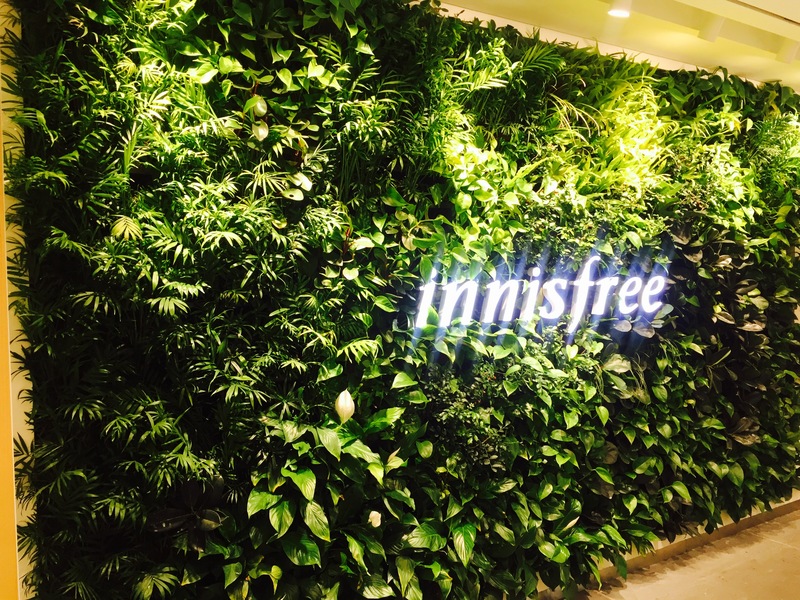 You might know innisfree as a famous Korean cosmetic brand, but have you ever heard of the innisfree Cafe? 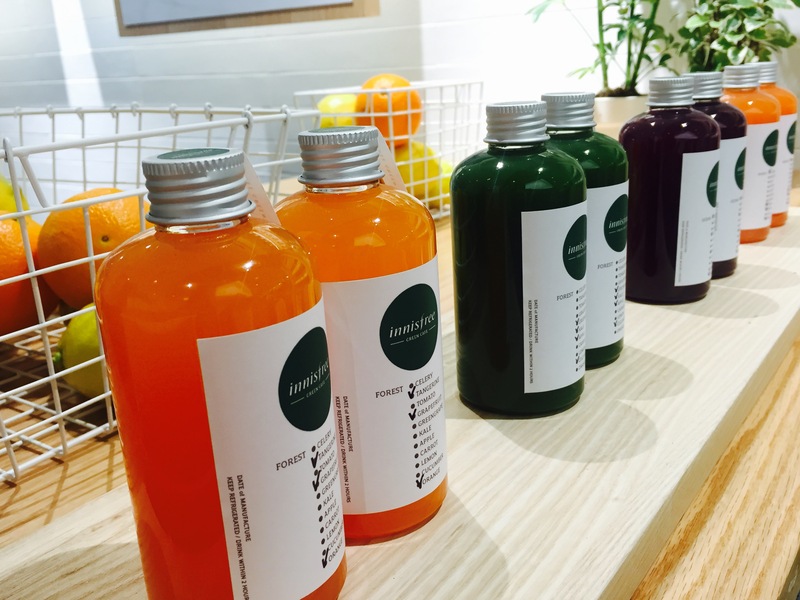 Pursuing a natural Jeju concept, innisfree opened their first flagship green cafe “innisfree Jeju House” in Jeju island in 2013, creatively combining their beauty products and organic drinks and desserts made from local ingredients. 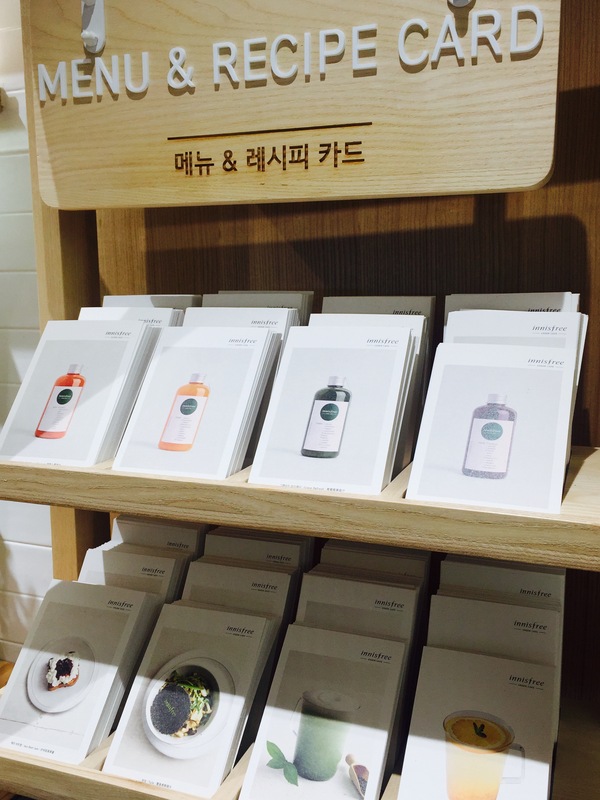 The innisfree Jeju House was such a hit that they are opening more cafe branches!! 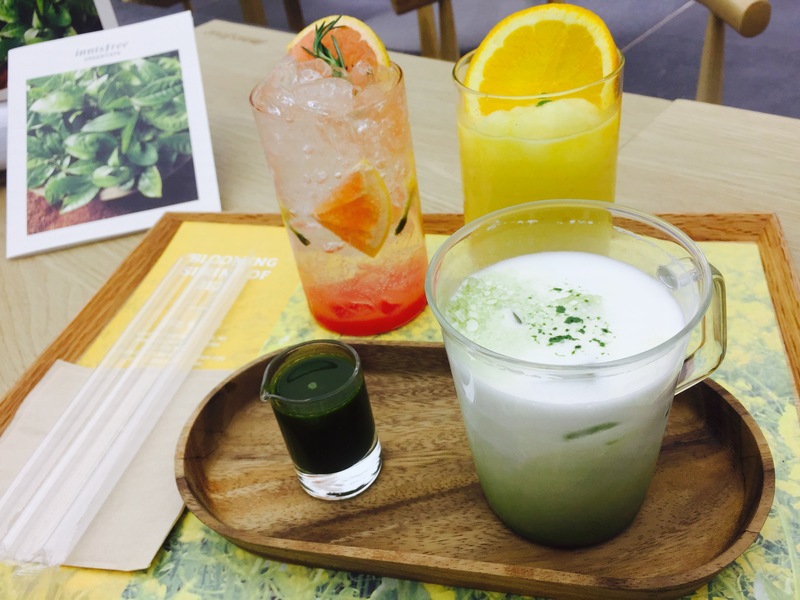 And now you can enjoy the beautiful innisfree cafe right at Myeong-dong, the center of Seoul, without going to Jeju! 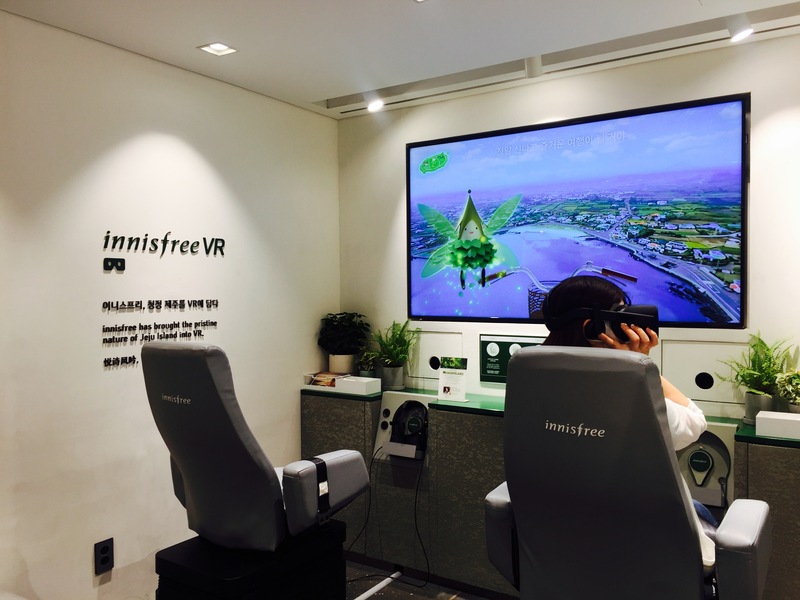 Innisfree Myeong-dong branch is now a new trendy place among young Koreans. They have the first floor selling all kinds of innisfree cosmetics, and a large innisfree cafe taking 2~3 floors. The cafe has a natural and green interior, fully decorated with real green plants, water ponds, wooden tables & chairs, and a super relaxing atmosphere. Everything is so beautiful and refreshing just like a cozy journey to Jeju! Cafes with such a nice atmosphere in Seoul tend to be really expensive. 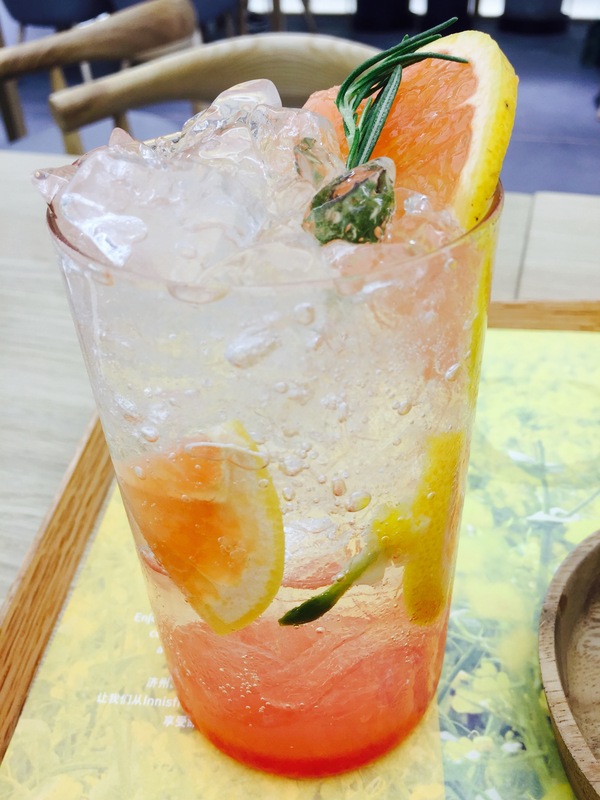 But all drinks and desserts you can get at innisfree cafe have surprisingly reasonable prices, drinks are from 4,000won to 7,000won, and there are a whole variety of salads and other sweet desserts no more than 20,000won! So you can comfortably enjoy the healthy food and drinks in this cafe of nature without breaking the bank! We found these unique menu & recipe cards on display next to the counter. 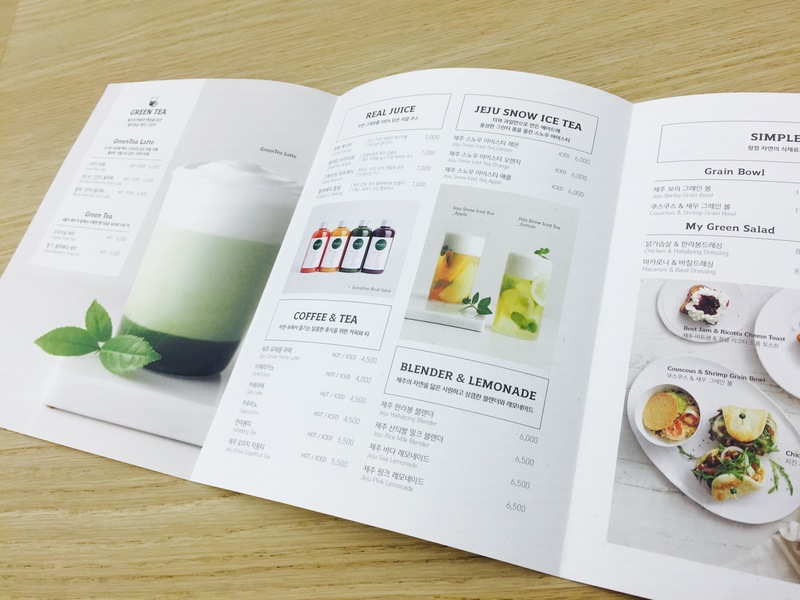 The back of each card shows the introduction to a particular kind of drink or food, including the detailed recipe and ingredients used, which gives you a better idea of everything on the menu and helps with your order. Our recommended Jeju Pink Lemonade is super refreshing just like its gorgeous crystal look, definitely a first-choice summer drink! The Hallabong Blender is made of a special kind of tangerine grown at and named after the Hallasan mountain in Jeju Island, famous for its sweetness and pleasant scent. Hallabong Blender is a must try for your first-time visit cause this is a drink you can taste only in Korea! And last but not least, the featured Green Tea series! 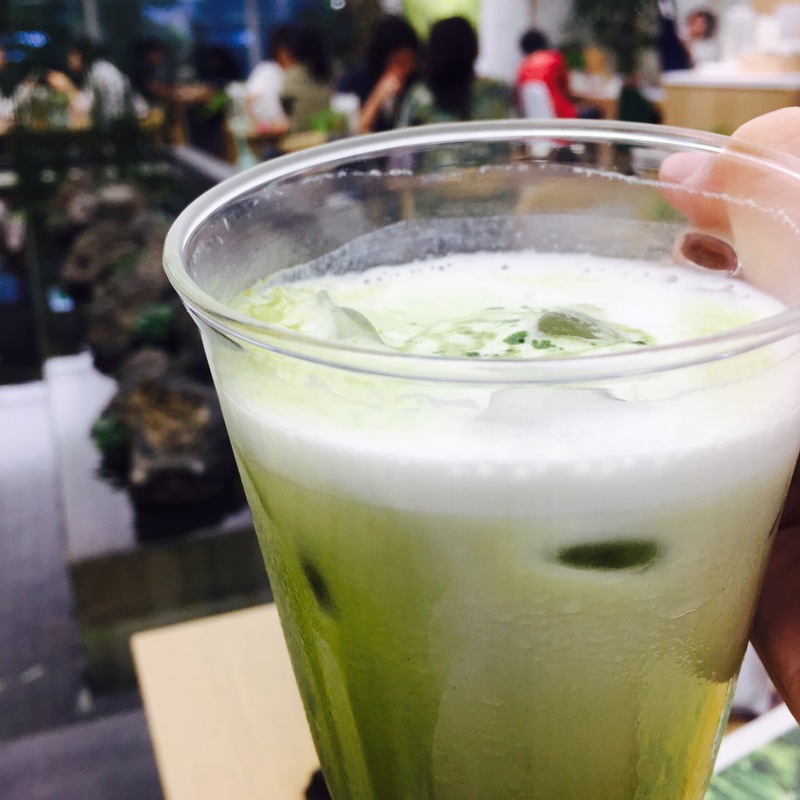 They offer types of original green tea, green tea foam latte and green tea latte from a delicate fresh taste to a very thick matcha taste for you to find your favorite. 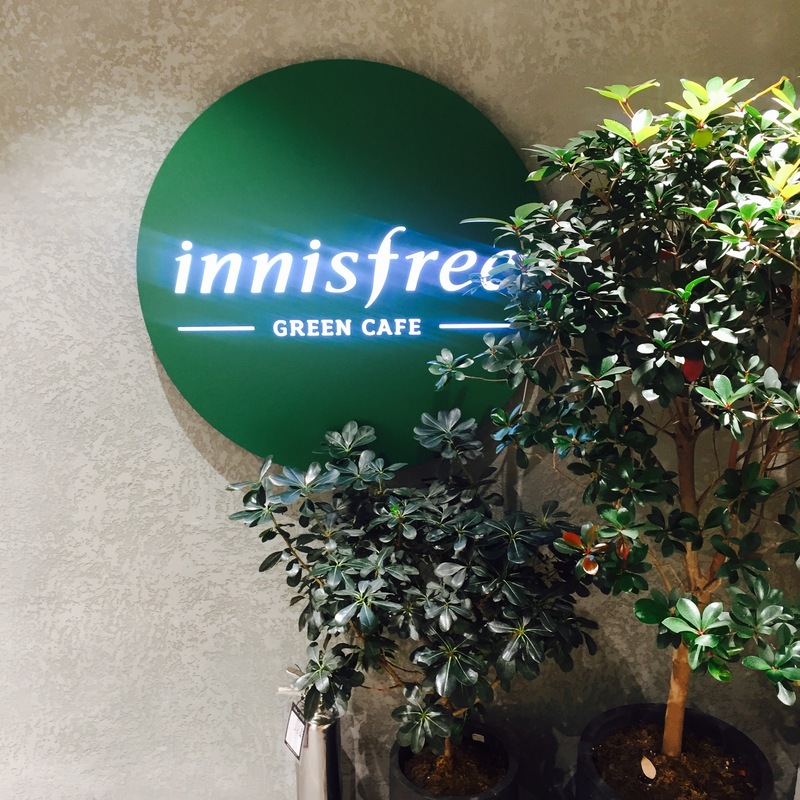 Besides the great drinks and desserts, there are more to experience at innisfree green cafe! Don’t miss their special VR experience to the pristine nature of Jeju Island featuring the voice by Yoona from the Girls’ Generation! There are also bunch of themed souvenirs you can take back home and share with friends! This entry was posted in BnBHero Insights!, Culture and lifestyle, Explore REAL Korea, FOOD, Shopping, Spot, Travelstyle, Wednesday Food Talk and tagged green tea, innisfree, innisfree cafe, Korea Dessert, Korea travel tips, korean cosmetic, Korean tea, lifestyle, Myeongdong, Seoul, Theme Cafe, Themed Cafe in Korea, Travel in Seoul.